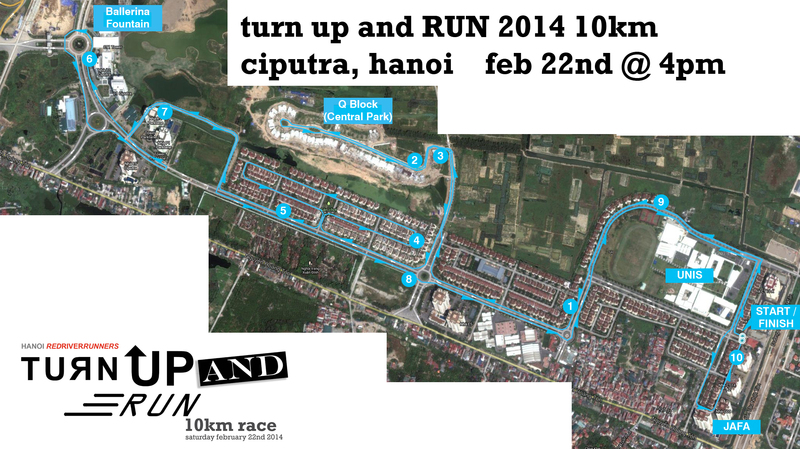 Turn up and RUN 2014 10km is this Saturday afternoon (22nd Feb). Meet outside G2-G3 towers (JAFA restaurant) at 3.30pm. We will make our way to the old Ciputra Marketing centre (100 metres away) before 4pm where the start and finish takes place. You can leave your bags inside the lobby area of JAFA – no valuables though! Ciputra takes no responsibility for lose of property. Arrive at JAFA by 3:30pm to get your bib number. We will have race timing using our Webscorer app. Timing stops 1h30m after the race begins.